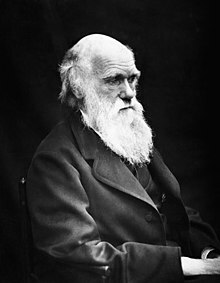 Both Charles Darwin and Chris Martin abandoned their earlier Christian views and left the church. Charles Darwin later became an agnostic while Chris Martin is still wrestling with his earlier Christian views and seems to have not come to a total conclusion what to do with them. During these two years [OCTOBER 1936 to January 1839] I was led to think much about religion. Whilst on board the Beagle I was quite orthodox, and I remember being heartily laughed at by several of the officers (although themselves orthodox) for quoting the Bible as an unanswerable authority on some point of morality. I suppose it was the novelty of the argument that amused them. But I had gradually come by this time, i.e., 1836 to 1839, to see that the Old Testament from its manifestly false history of the world, with the Tower of Babel, the rainbow at sign, &c., &c., and from its attributing to God the feelings of a revengeful tyrant, was no more to be trusted than the sacred books of the Hindoos, or the beliefs of any barbarian. The question then continually rose, before my mind and would not be banished, is it credible that if God were now to make a revelation to the Hindoos, he would permit it to be connected with the belief in Vishnu, Siva, &c., as Christianity is connected with the Old Testament? This appeared to me utterly incredible. By further reflecting that the clearest evidence would be requisite to make any sane man believe in the miracles by which Christianity is supported, (and that the more we know of the fixed laws of nature the more incredible do miracles become), that the men at that time were ignorant and credulous to a degree almost uncomprehensible by us, that the Gospels cannot be proved to have been written simultaneously with the events, that they differ in many important details, far too important, as it seemed to me, to be admitted as the usual inaccuracies of eyewitnesses; by such reflections as these, which I give not as having the least novelty or value, but as they influenced me, I gradually came to disbelieve in Christianity as a divine revelation. The fact that many false religions have spread over large portions of the earth like wild-fire had some weight with me. Beautiful as is the morality of the New Testament, it can be hardly denied that its perfection depends in part on the interpretation which we now put on metaphors and allegories. But I was very unwilling to give up my belief; I feel sure of this, for I can well remember often and often inventing day-dreams of old letters between distinguished Romans, and manuscripts being discovered at Pompeii or elsewhere, which confirmed in the most striking manner all that was written in the Gospels. But I found it more and more difficult, with free scope given to my imagination, to invent evidence which would suffice to convince me. Thus disbelief crept over me at a very slow rate, but was at last complete. The rate was so slow that I felt no distress, and have never since doubted even for a single second that my conclusion was correct. I can indeed hardly see how anyone ought to wish Christianity to be true; for if so the plain language of the text seems to show that the men who do not believe, and this would include my Father, Brother and almost all of my friends, will be everlastingly punished. Although I did not think much about the existence of a personal God until a considerably later period of my life, I will here give the vague conclusions to which I have been driven. The old argument from design in Nature, as given by Paley, which formerly seemed to me so conclusive, fails, now that the law of natural selection has been discovered. We can no longer argue that, for instance, the beautiful hinge of a bivalve shell must have been made by an intelligent being. like the hinge of a door by man. There seems to be no more design in the variability of organic beings, and in the action of natural selection, than in the course which the wind blows. Everything in nature is the result of fixed laws. But I have discussed this subject at the end of my book on the ‘Variations of Domesticated Animals and Plants,’ and the argument there given has never, as far as I can see, been answered. But passing over the endless beautiful adaptations which we every­where meet with, it may be asked how can the generally beneficent arrangement of the world be accounted for? Some writers indeed are so much impressed with the amount of suffering in the world, that they doubt, if we look to all sentient beings, whether there is more of misery or of happiness; whether the world as a whole is a good or bad one. According to my judgment happiness decidedly prevails, though this would be very difficult to prove. If the truth of this conclusion be granted, it harmonizes well with the effects which we might expect from natural selection. If all the individuals of any species were habitually to suffer to an extreme degree, they would neglect to propagate their kind; but we have no reason to believe that this has ever, or at least often occurred. Some other considerations, moreover, lead to the belief that all sentient beings have been formed so as to enjoy, as a general rule, happiness. Every one who believes, as I do, that all the corporeal and mental organs (excepting those which are neither advantageous nor disadvantageous to the possessor) of all beings have been developed through natural selection, or the survival of the fittest, together with use or habit, will admit that these organs have been formed so that their possessors may compete successfully with other beings, and thus increase in number. Now an animal may be led to pursue that course of action which is most beneficial to the species by suffering, such as pain, hunger, thirst, and fear; or by pleasure, as in eating and drinking, and in the propagation of the species, &c., or by both means combined, as in the search for food. But pain or suffering of any kind, if long continued, causes depression and lessens the power of action, yet is well adapted to make a creature guard itself against any great or sudden evil. Pleasurable sensations, on the other hand, may be long continued without any depressing effect; on the contrary, they stimulate the whole system to increased action. Hence it has come to pass that most or all sentient beings have been developed in such a manner, through natural selection, that pleasurable sensations serve as their habitual guides. We see this in the pleasure from exertion, even occasionally from great exertion of the body or mind, (in the pleasure of our daily meals, and especially in the pleasure derived from sociability, and from loving our families). The sum of such pleasures as these, which are habitual or frequently recurrent, give, as I can hardly doubt, to most sentient beings an excess of happiness over misery, although many occasionally suffer much. Such suffering is quite compatible with the belief in Natural Selection, which is not perfect in its action, but tends only to render each species as successful as possible in the battle for life with other species, in wonderfully complex and changing circumstances. That there is much suffering in the world no one disputes. Some have attempted to explain this with reference to man by imagining that it serves for his moral improvement. But the number of men in the world is as nothing compared with that of all other sentient beings, and they often suffer greatly without any moral improvement. A being so powerful and so full of knowledge as a God who could create the universe, is to our finite minds omnipotent and omniscient, and it revolts our understanding to suppose that his benevolence is not unbounded, for what advantage can there be in the suffering of millions of the lower animals throughout almost endless time? 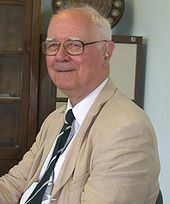 This very old argument from the existence of suffering against the existence of an intelligent First Cause seems to me a strong one; whereas, as just remarked, the presence of much suffering agrees well with the view that all organic beings have been developed through variation and natural selection. At the present day the most usual argument for the existence of an intelligent God is drawn from the deep inward conviction and feelings which are experienced by most persons. But it cannot be doubted that Hindoos, Mahomadans and others might argue in the same manner and with equal force in favour of the existence of one God, or of many Gods, or as with the Buddhists of no God. There are also many barbarian tribes who cannot be said with any truth to believe in what we call God: they believe indeed in spirits or ghosts, and it can be explained, as Tyler and Herbert Spencer have shown, how such a belief would be likely to arise. Formerly I was led by feelings such as those just referred to (although I do not think that the religious sentiment was ever very strongly developed in me), to the firm conviction of the existence of God, and of the immortality of the soul. In my Journal I wrote that whilst standing in the midst of the grandeur of a Brazilian forest, “it is not possible to give an adequate idea of the higher feelings of wonder, admiration, and devotion, which fill and elevate the mind.” I well remember my conviction that there is more in man than the mere breath of his body. But now the grandest scenes would not cause any such convictions and feelings to rise in my mind. It may be truly said that I am like a man who has become colour-blind, and the universal belief by men of the existence of redness makes my present loss of perception of not the least value as evidence. This argument would be a valid one if all men of all races had the same inward conviction of the existence of one God; but we know that this is very far from being the case. Therefore I cannot see that such inward convictions and feelings are of any weight as evidence of what really exists. The state of mind which grand scenes formerly excited in me. and which was intimately connected with a belief in God, did not essentially differ from that which is often called the sense of sublimity; and however difficult it may be to explain the genesis of this sense, it can hardly be advanced as an argument for the existence of God, any more than the powerful though vague and similar feelings excited by music. With respect to immortality, nothing shows me (so clearly) how strong and almost instinctive a belief it is, as the consideration of the view now held by most physicists, namely, that the sun with all the planets will in time grow too cold for life, unless indeed some great body dashes into the sun, and thus gives it fresh life. Believing as I do that man in the distant future will be a far more perfect creature than he now is, it is an intolerable thought that he and all other sentient beings are doomed to complete annihilation after such long-continued slow progress. To those who fully admit the immortality of the human soul, the destruction of our world will not appear so dreadful. Another source of conviction in the existence of God, connected with the reason, and not with the feelings, impresses me as having much more weight. This follows from the extreme difficulty or rather impossibility of conceiving this immense and wonderful universe, including man with his capacity of looking far backwards and far into futurity, as the result of blind chance or necessity. When thus reflecting I feel compelled to look to a First Cause having an intelligent mind in some degree analogous to that of man; and I deserve to be called a Theist. This conclusion was strong in my mind about the time, as far as I can remember, when I wrote the ‘Origin of Species;’ and it is since that time that it has very gradually, with many fluctuations, become weaker. But then arises the doubt;– can the mind of man, which has, as I fully believe, been developed from a mind as low as that possessed by the lowest animals, be trusted when it draws such grand conclusions? May not these be the result of the connection between cause and effect which strikes us as a necessary one, but probably depends merely on inherited experience? Nor must we overlook the probability of the constant inculcation in a belief in God on the minds of children producing so strong and perhaps an inherited effect on their brains not fully developed, that it would be as difficult for them to throw off their belief in God, as for the monkey to throw off its instinctive fear and hatred of a snake. What my own (religious) views may be is a question of no consequence to any one but myself. But, as you asked, I may state that my judgment often fluctuates. . . . In my most extreme fluctuations I have never been an Atheist in the sense of denying the existence of a God. I think that generally (and more and more as I grow older), but not always, that an Agnostic would be the more correct description of my state of mind. (F. Darwin 1888, I: 304;). Chris Martin was brought up as an evangelical Christian but he left the faith once he left his childhood home. However, there are been some actions in his life in the last few years that demonstrate that he still is grappling with his childhood Chistian beliefs. Let us take look at a few verses in the Book of Romans chapter one and we will see how they are relevant to a song written by Coldplay. Kerry Livgren of Kansas found Christ eventually after first trying some Eastern Religions. I remember telling my friends in 1978 when “Dust in the Wind” was the number 6 song in the USA that Kansas had written a philosophical song that came to the same conclusion about humanistic man as Solomon did so long ago and I predicted that some members of that band would come to know the Christ of the Bible in a personal way.